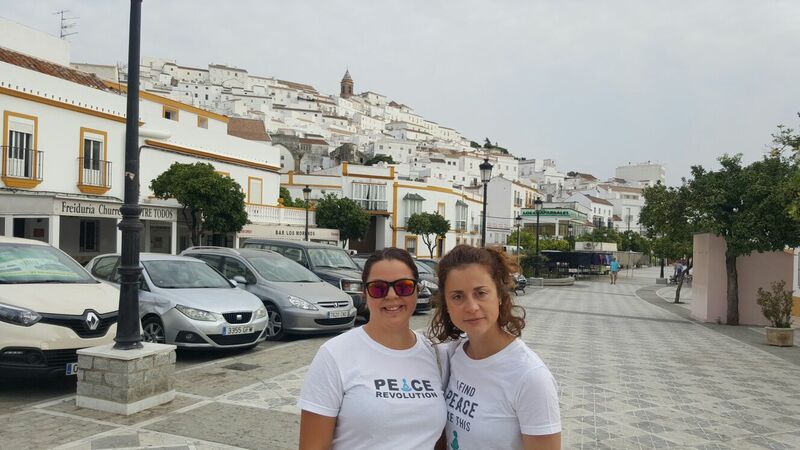 On September 3rd, in a small town in the southern province of Cadiz in Spain — Alcala’ de los Gazulez — two Peace Agents — Zulema and Gea — joined forces and organised a mindfulness activity for the town political meeting. The story that enabled me to organise this small event with Zulema goes back to the International Fellowship in Thailand, ‘Peace on the move 18’, held in the Forest Sanctuary in Loei Province in which both Zulema and I met for the first time. The fellowship is a 14 days intensive training program providing participants with deeper insight in the relationship between inner peace and sustainable world peace and enhancing their ability to create peace within their family, professional and social environment. Last night after the fellowship, Zulema woke up early to go to the airport to take her flight back to Spain, but while packing, she forgot to take with her the PIPO book, a priceless source of wisdom taught by Luang Por Dhammajayo, the abbot of the Dhammakaya temple in Thailand, one of the most respected and experienced meditators for 45 years. Zulema had won the book as a prize within a mindfulness context during the fellowship in Thailand. After noticing that she had forgotten it in the PIPO house, I thought it would be no problem for me to mail it to Zulema once back in Europe. But then, another thought occurred to me: why not go directly to Spain to bring the book to Zulema? So I did. This turned out to be not only a chance to see a dear friend, but also to join forces on spreading inner peace around the world. 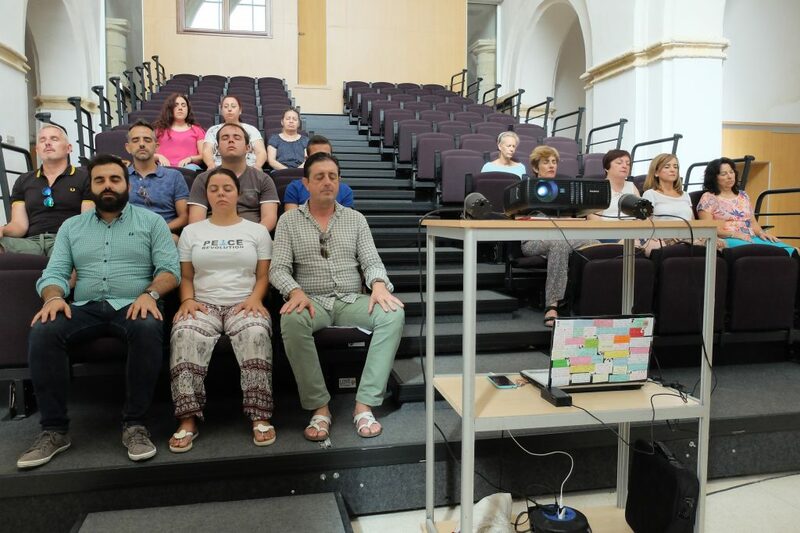 Moreover, since Zulema is actively involved in the politic scene of her town (Alcala’ De Los Gazules), there was no better scenario than organizing a mini event in which we would share our learnings about meditation and mindfulness. You may be wondering: what’s the connection between politics and meditation? Let me explain by sharing one of the lessons that I’ve learned from my dear teaching monk LP John during the International Fellowship in Thailand: meditation helps you clear the mind, a clear mind develops the right understanding and thus it is able to generate more positive thoughts; the positive thoughts will lead to positive speeches and the latter will bring about positive actions. Since political leaders from big countries to small towns or villages are often people who most contribute and influence the building and development of our society, we are in need for leaders who better own the tools of right thoughts, right speeches and right actions, thus they can help to shape a better, a more peaceful and a more positive society around us. 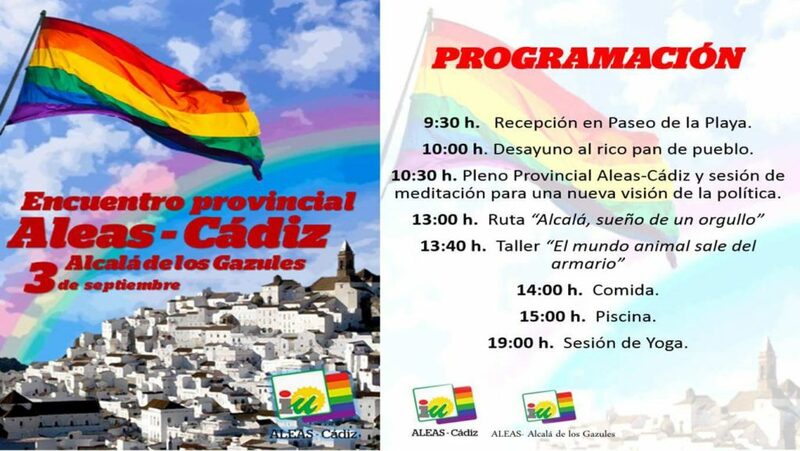 With this in mind, during the third political meeting of the town of Alcala’ De Los Gazules, Zulema designed a full day event packed with activities, workshops and a meditation session. And I was very pleased to help with the event organization. The program started with citizens gathering around a typical local breakfast in a bar located in the main city’s square. 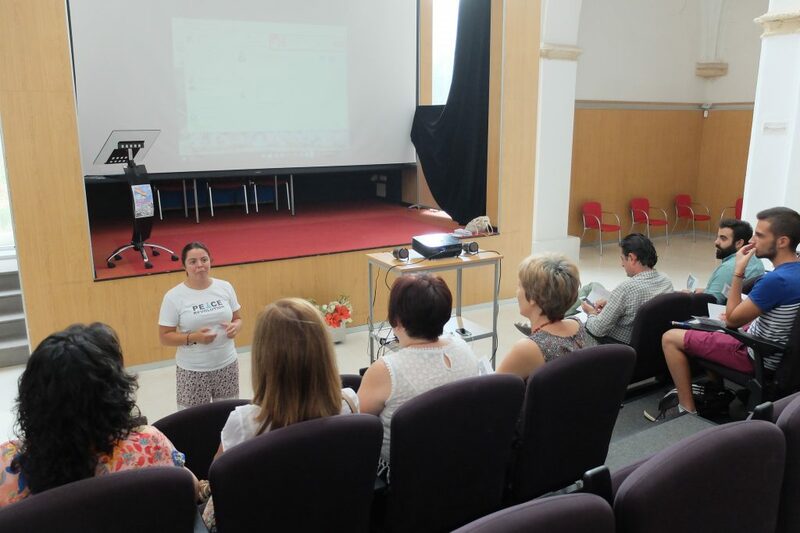 At 10.30 after a meditation session guided by Alejandra Barbe’ Sevilla, Peace Architect from Peace Revolution, we all had cleared our mind and were ready to discuss political issues and plan strategies for the future of the town. 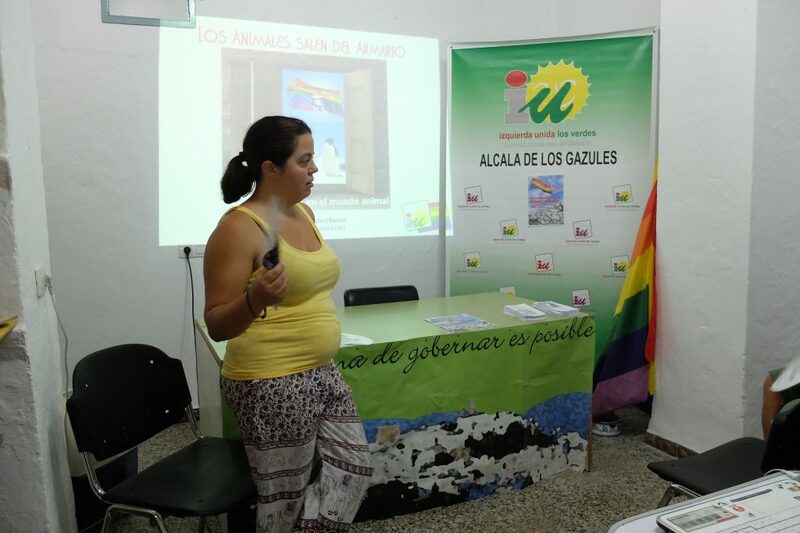 After a tasty lunch followed by a nice walk around the historical city centre of the town, Zulema hosted a workshop “Los animals salen del armario” which tackled sexual diversity in the animal world. We finished the day by refreshing ourselves in the communal swimming pool and had a yoga session guided by Zulema. Today, more than ever, our world lacks political leaders who are committed to bring real and sustainable change to our society; peace is a word we often hear about but hardly see. We should not lose hope, because each of us can actually do something to bring the change in the world here and now and to make peace a daily reality. How? By simply being the CHANGE THAT WE WANT TO SEE.